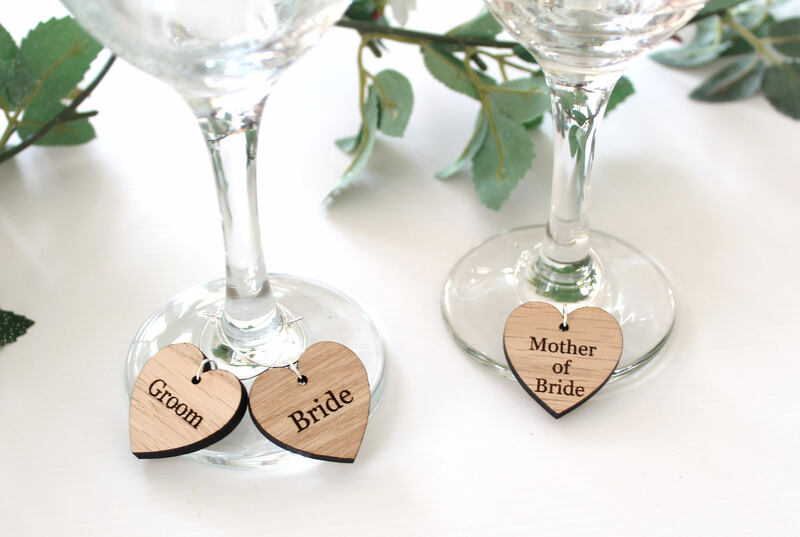 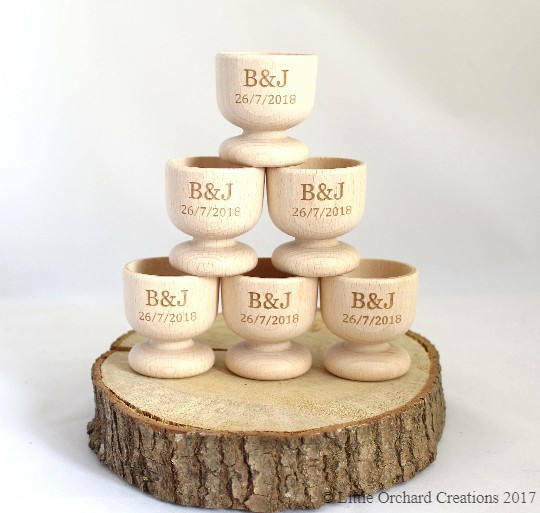 Our personalised wooden wine glass charms make wonderful wedding favours and name place settings. 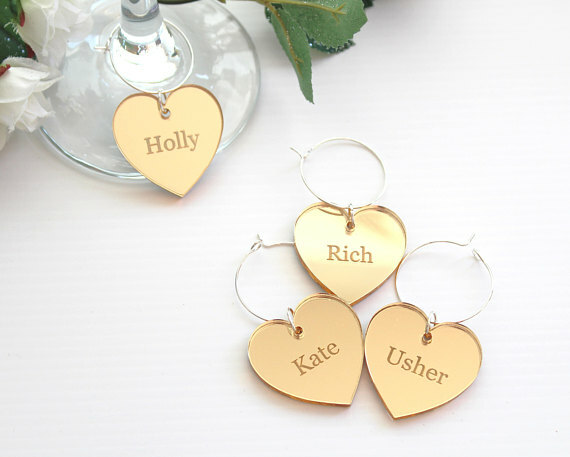 Have each charm personalised with your guests names or roles e.g, Bridesmaid, Maid of Honour, Usher etc. 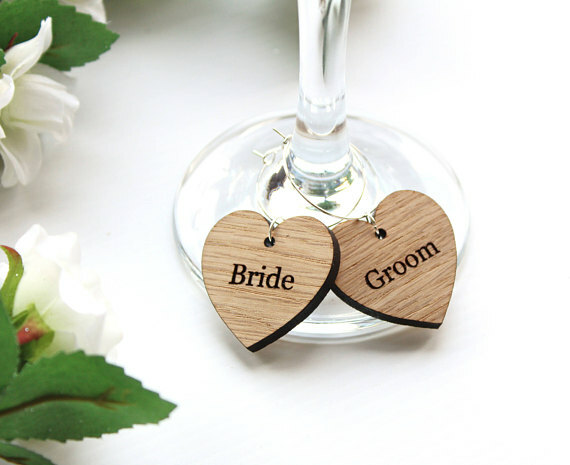 They are a fabulous addition to your wedding table decor and made from high quality oak veneer wood. 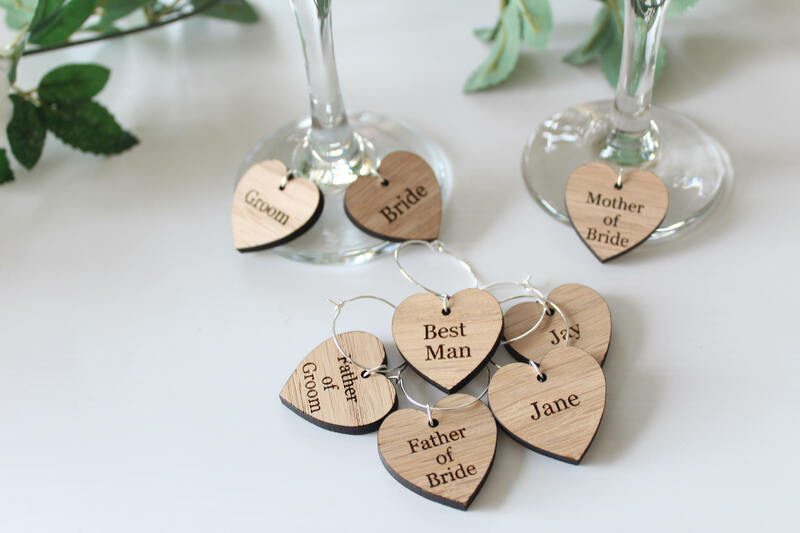 The price is £1.00 for one wooden heart wine glass charm with the charm ring included. 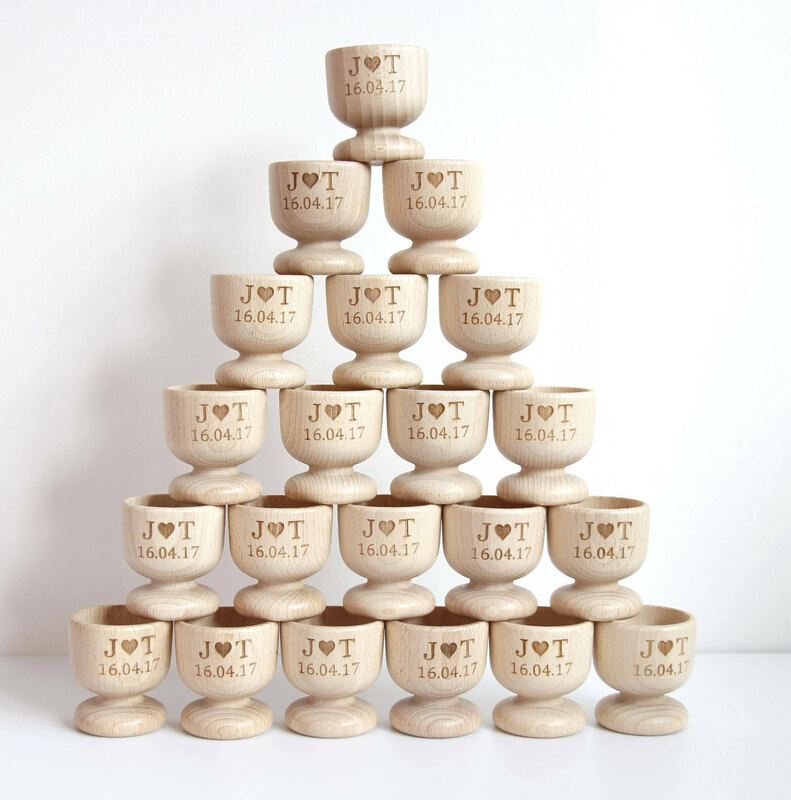 To select 50 charms please select the quantity from the drop down menu. 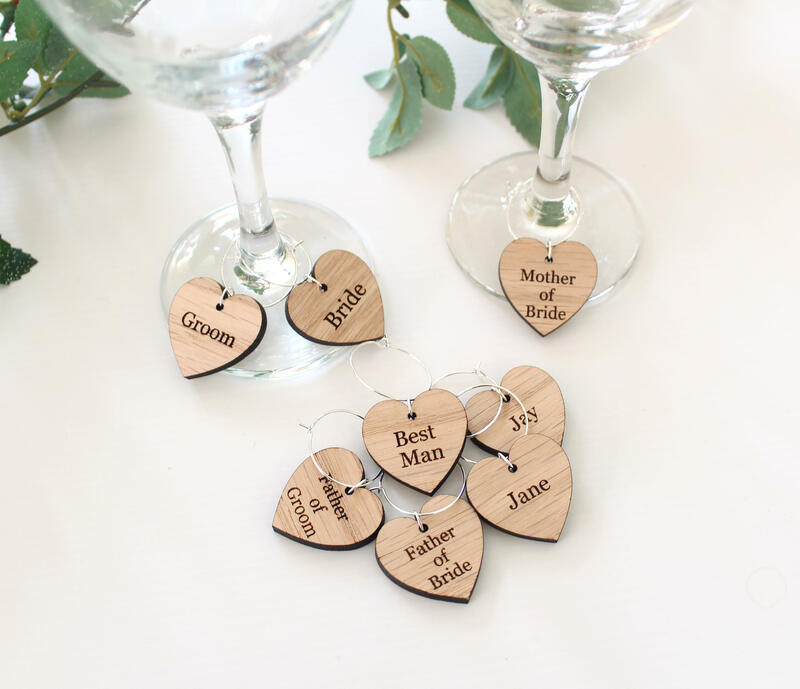 To personalise your wine glass charms please leave a message in the notes to seller section at the checkout with all of your guests names. 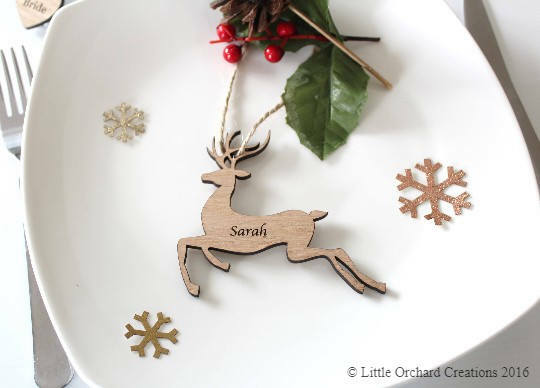 Alternatively you can send us a private message with individual names. 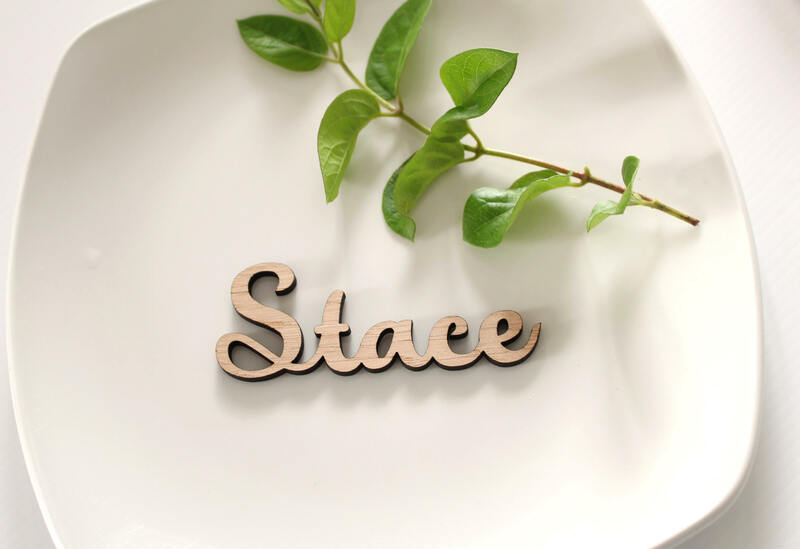 Please check all names for spelling mistakes as all names with be copy and pasted directly.